Boy brandishing a whip to chase away demons who plead with him. Bequeathed by Dr Monica Barnett, 2001. 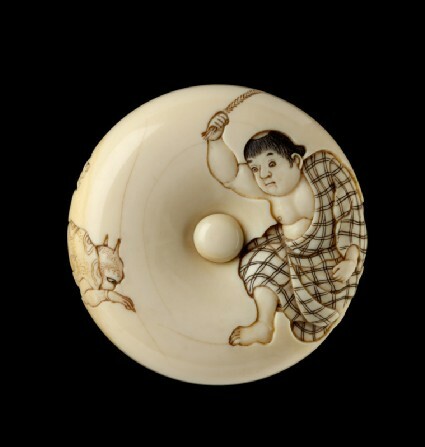 The manjū is a type of netsuke or toggle which takes its name from a round, sweet, bean paste-filled bun. 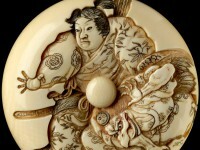 A greater dynamism can often be achieved on the front and back of the netsuke than with other three-dimensional carving.